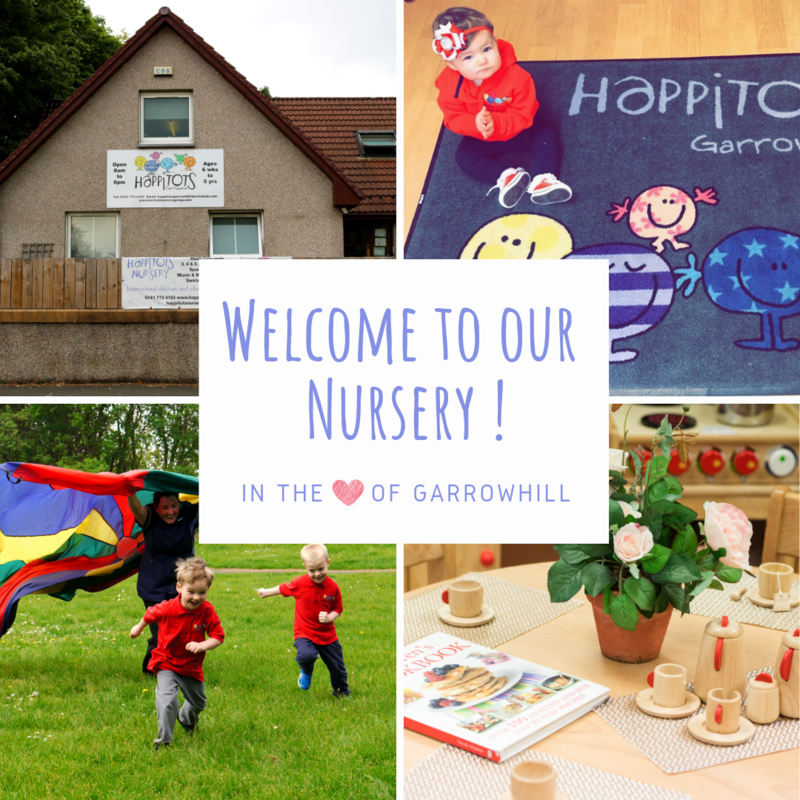 Happitots Nursery Garrowhill provides stimulating and inspiring childcare for children from 6 weeks to 5 years. With ample residential street parking and our convenient location next to the local school and near to the M8, we are a perfect choice for commuters and busy families. Playrooms within our nursery are generously proportioned, carefully planned and extensively resourced to create inspiring learning environments in which children can grown and learn with confidence. We pride ourselves on offering children a wide range of activities and all of our children have access to outdoor play areas offering the opportunity for regular outdoor learning experiences across of all areas of the curriculum. 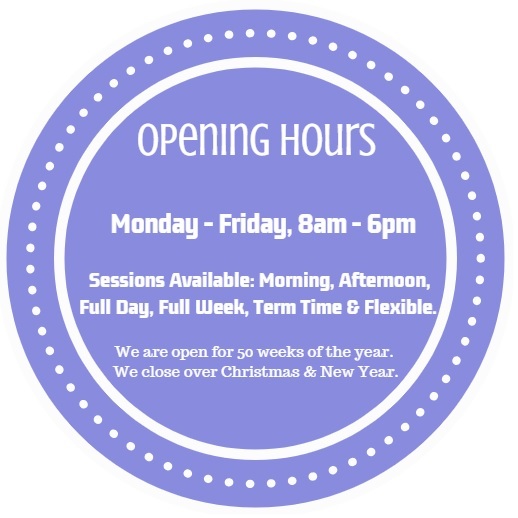 Our nursery has been an established and respected Centre for Early Year's Learning in Glasgow for over a decade and has developed a strong reputation for delivering quality and meeting the needs of individual children and their families. We accept all childcare vouchers and offer 3-5 year old funding. Our spaces can fill up fast so we do recommend you enquire as early as possible to ensure to get the sessions and start date you require. To get a real feel for our nursery, we highly recommend coming to see our nursery for yourself! Our nursery manager would be delighted to give you a guided tour, introduce you to the staff and answer any questions you may have. If you would be interested in arranging a viewing, simply call us on 0141 773 4153 or complete our book a viewing form to confirm your viewing. Our Nursery Manager, Lorna Dunlop has worked in childcare for 9 years. Our Deputy Manager, Leanne Cleary supports Lorna in ensuring our nursery provides a safe and stimulating environment for children to develop and thrive. We are thrilled to hold a number of awards and accreditations including; Silver Flag Eco School Status, Nursery World Award Winner, NMT Nursery Group of the Year 2018, Day Nurseries Top 20 Nursery Group for 2018, Member of NDNA and Investors In Young People Gold Practice Award.